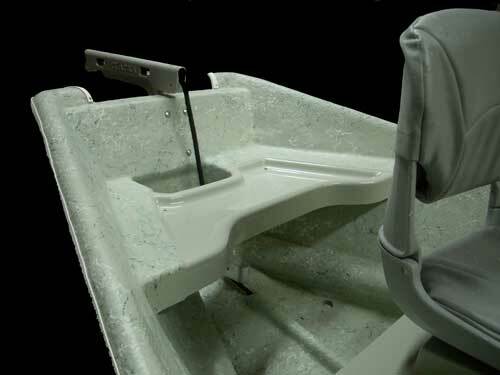 16' Low Profile "Fly Pod"
What if you took the most popular and best rowing drift boat on the market and made it better? What would you change? What would you add? More dry storage? More rod storage? Start from scratch with a redesigned interior? What would it look like? 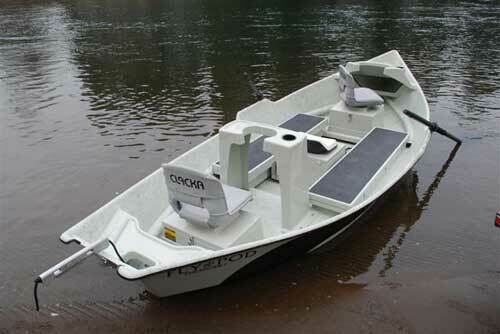 Introducing the 16' Low Profile “Fly Pod”, the next evolution in drift boat design. 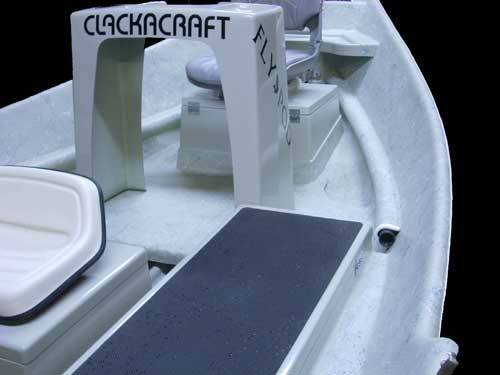 With some help from our friend and streamer guru Kelly Galloup, ClackaCraft has redefined driftboat comfort and functionality while maintaining the legendary rowability and durability that makes a Clacka, well .... a Clacka. With the proven performance of our 16'LP hull, integrated with an all new Guide/Client/Fishbum friendly interior, ClackaCraft has again set a higher standard in driftboat functionality, construction and design. more comfortable to fish from. 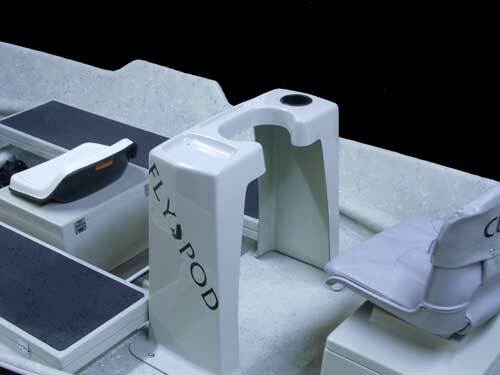 New Rear Shelf Maximizes Usable Space in the Fly Pod. 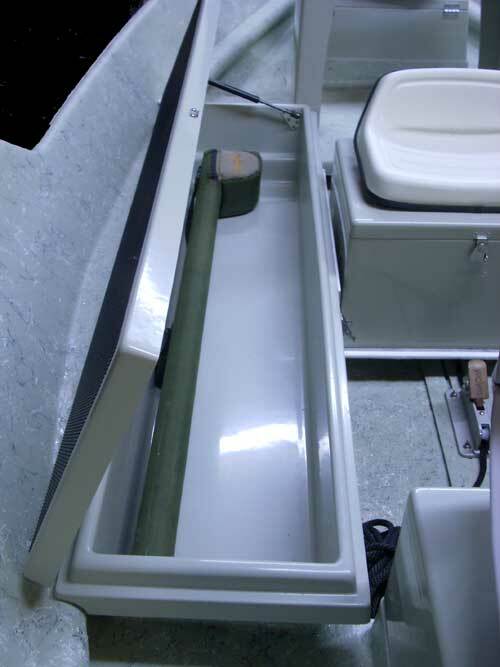 The 16LP has always been at the Cutting Edge of drift boat design and technology. Engineered to work harmoniously together, ClackaCraft’s Exclusive ClackaCraft's Exclusive GulfStream® bottom and Tunnel Hull Technology have elevated the “row ability” of the boat to legendary status. 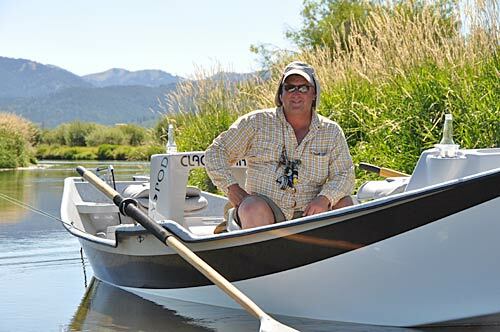 Clacka’s are designed to be fish ready. We don’t have a bunch of “extras” or “add-ons” to cloud the waters or inflate the price. We want your buying experience to be pleasant and hassle free.